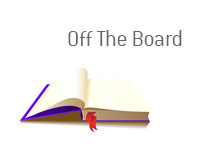 Off The Board Definition - What Does Off The Board Mean? 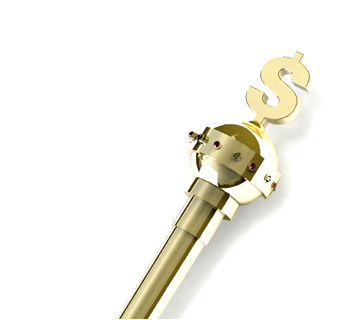 What does the term "off the board" mean in the world of sports betting? What is the definition of the term "off the board"? In the sports betting world, "off the board" means that a bookmaker is not currently accepting bets on a particular game. "OTB" means "off the board", which means that the sports book isn't currently accepting wagers on the game. In most cases, OTB or "off the board" simply means that the line for the game isn't available as of yet. For instance, lines for football games are usually made available six days before the game. In this case, if you visit your sports book again the next day, you will likely see that the line for the game is now available. In other cases, a sports book will temporarily pull a game due to the fact that something has occurred that will alter the line. For instance, let's say that the Denver Broncos are hosting the Philadelphia Eagles, and the Broncos are 17 point favourites to win. In the week leading up to the game, Peyton Manning goes down with a sprained knee and is not expected to play. This development will obviously dramatically alter the odds of the Broncos and Eagles winning, so the sports book will take down the odds temporarily as they figure out a new line.